Cluster pulled idk what I’m looking at need help! This is not my car but a friends 93 GT he picked up awhile back. So car came with an optima battery and new stock alternator. Guy told him he changed it but had pulled the cluster but something possibly got loose. So the voltage meter will run normal then drop. He replaced the optima battery bc it was no good, but it’s still having the low voltage, the battery light still turns on and then there is this weird beeping or alarming going on. The rpms, mph, and gas don’t work if I remember correctly. Any ideas or insight what it could be and how we can try and fix it?? That sounds like an old aftermarket alarm... might be wired wrong cutting power to the cluster. The battery light is on a different circuit though. That runs from the alternator to the cluster and back out. The green wire ( I believe ) it should be the same color at the cluster harness. The best way to tackle it is to pull the cluster end check the printed circuit on the back. People always screw them up. I think that Beeping you are hearing is coming from the Airbag Diagnostic Module, its the little blue box in above the Radio behind the Climate Controls. Found a thread on the same issue. It was only a few weeks ago. Here's the pic of the cluster contacts. Never, never disconnect an alternator from the battery with the engine running. The resulting voltage spike can damage the car's electronics including the alternator. Red color text applies to cars with a 3G alternator. Do all of these tests in sequence. Do not skip around. The results of each test depend on the results of the previous tests for correct interpretation. Simple first step: Remove the alternator and take it to your local auto parts store. They can bench test it for free. Use a safety pin to pierce and probe the insulated connectors from the rear when doing tests with the connector plugged into its' mating connector. 1.) The alternator MUST have the instrument cluster in place and working properly. The alternator warning light is a part of the charging circuit. The alternator warning light should glow. No glow, bulb has burned out or there is a break or bad connection in the wiring between the regulator plug and the instrument cluster. The warning light supplies an exciter voltage that tells the regulator to turn on. There is a 500 ohm resistor in parallel with the warning light so that if the bulb burns out, the regulator still gets the exciter voltage. Familiarize yourself with the following application note from Fluke: See http://assets.fluke.com/appnotes/automotive/beatbook.pdf for help for help troubleshooting voltage drops across connections and components. .
You will need to do some voltage drop testing of several of the wires. 1.) Bad diode(s) in the alternator - one or more diodes have open circuited and are causing the voltage to drop off as load increases. Remove the alternator and bench test it to confirm or deny this as being the problem. 2.) The secondary power ground is between the back of the intake manifold and the driver's side firewall. It is often missing or loose. It supplies ground for the alternator, A/C compressor clutch and other electrical accessories such as the gauges. Do the voltage drop test as shown in the Fluke tech note link. Measure the voltage drop between the alternator frame and the battery negative post. Watch for an increase in drop as the load increases. Use the Fluke voltage drop figures as guidelines for your decisions. 3.) Bad regulator that does not increase field current as load increases. Remove the alternator and bench test it to confirm or deny this as being the problem. 4.) Bad sense wire - open circuit in sense wiring or high resistance. The yellow/white wire is the voltage sense and power for the field. There is a fuse link embedded in the wiring where it connects to the black/orange wiring that can open up and cause problems. Disconnect the battery negative cable from the battery: this will keep you from making sparks when you do the next step. Then disconnect the yellow/white wire at the alternator and the green fuse link at the starter solenoid/starter relay. Measure the resistance between the alternator end of the yellow/white wire and the green fuse link: you should see less than 1 ohm. Reconnect all the wires when you have completed this step. 5.) Bad power feed wiring from the alternator. Use caution in the next step, since you will need to do it with everything powered up and the engine running. You are going to do the Fluke voltage drop tests on the power feed wiring, fuse links and associated parts. Connect one DMM lead to the battery side of the starter solenoid/starter relay. Carefully probe the backside of the black/orange wire connector where it plugs into the alternator. With the engine off, you should see very little voltage. Start the engine and increase the load on the electrical system. Watch for an increase in drop as the load increases. Use the Fluke voltage drop figures as guidelines for your decisions. 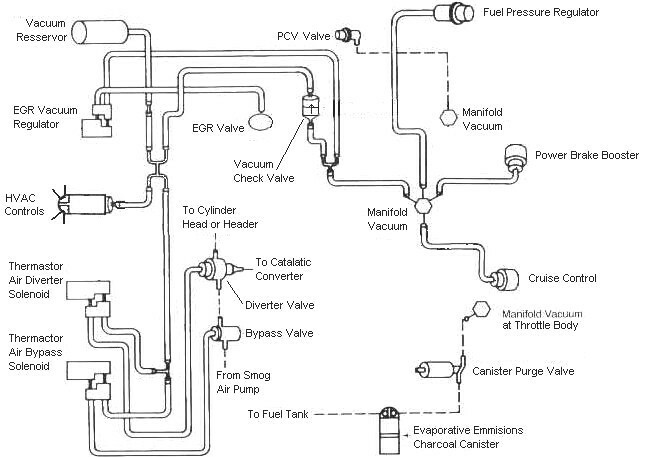 Alternator wiring diagram for 94-95 Mustangs. Notice the green wire connects to a switched power source. The circuit contains a 500 ohm resistor in series between the switched power and the alternator. Connecting it to switched power keeps the regulator from drawing current when the engine is not running. The resistor limits the current flowing through the wire so that a fuse isn't needed if the wire shorts to ground. Also notice the sense wire connects to the starter solenoid and it is fused. 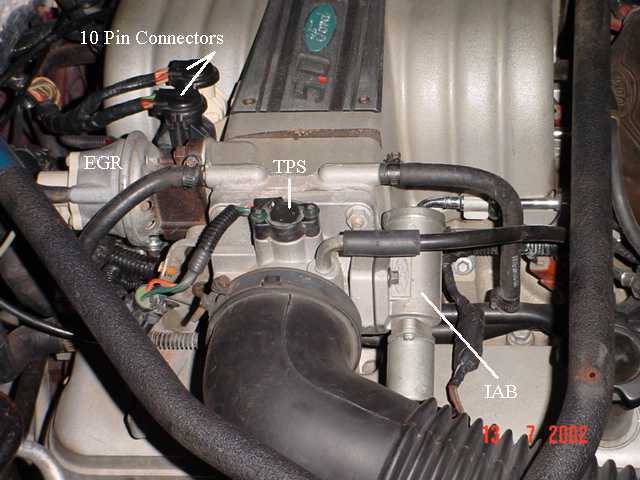 It connects to the starter solenoid so that it can "sense" the voltage drop across the output wiring from the alternator. 14 gauge fuse link for stock alternator. 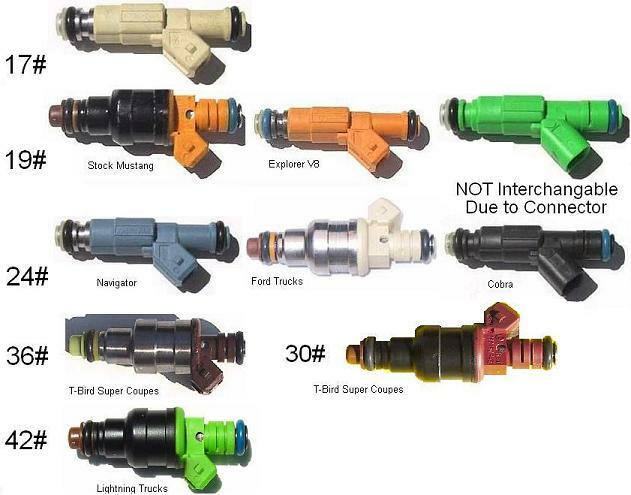 See the following website for some help from Tmoss (diagram designer) & Stang&2Birds (website host) for help on 88-95 wiring; http://www.veryuseful.com/mustang/tech/engine/ Everyone should bookmark this site. 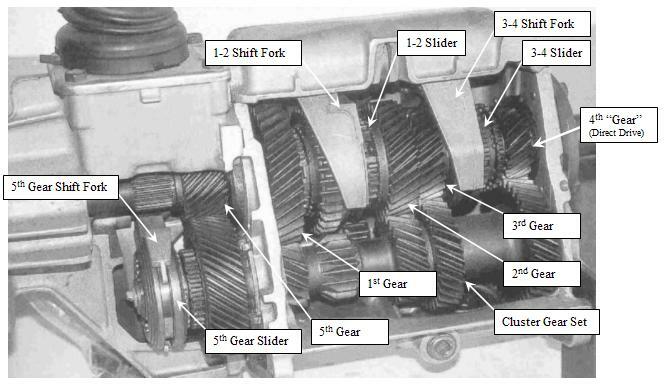 Alternator diagram for 94-95 Mustangs. So my buddy pulled the cluster out and here is what we got. Again the voltage meter is on and off. When he put the new battery in the voltage meter went up as normal then awhile later it fluctuated and back down how it was reading in the video. Not sure if he tried figuring out the beeping which might be the airbag diagnostic thinga mahchig like @Shakerhood posted but he is working there. Anyways the rpm, mph and gas needles do not work and these were the pics he sent me today. That thing is definitely rigged with the soldered on piece of wire. Theres also a piece missing to the far left that goes to the slosh module that controls the fuel reading. That printed circuit is one of the main problems. Tell him to take pics of the connector ends that plug into it. No one remakes the circuits for 87 and up foxes. Wish someone would make one though. You can use the printed circuit section from a 4 cylinder but have to be very careful removing it. I've been successful with swapping v8 tach and speedometer into a 4 cylinder cluster body on a 87. Not too bad just have to be careful separating the black face from the green plastic behind it. ( that stuff has adhesive behind it and can pull off the black coating ). Some masking tape and a fork will work well to remove the needles gently. The speedometer needle might take a little playing to get it set back at the right speed. I use a tomtom or garmin's GPS, that shows vehicle speed, to get it right. The alternator trigger wire runs through the printed circuit on the cluster. I've seen people patch them like what's shown. The patch wire should be patched directly to the wire that leads to the connector. Its very difficult to get a piece of wire to pinch correctly in that location. The green stuff on the copper lines is corrosion...that's why I recommend replacing the whole thing. 1990 to 1993 should be the same whether 4 cylinder or v8 except for the speedometer and the tachometer. They read different...85mph for 4 and 140 for v8...tach is also reads different. The beeping is the airbag module. It will beep if the cluster is unplugged, or if the airbag lightbulb is out. If you/he wants to just replace the cluster let me know via pm. I have three clusters that are all in good working condition. Two out of 93 5.0 and one out of a 91 5.0. Yeah those two tabs are jacked. If you wanted you could come off the harness and make your own wire from the cluster in those two positions to plug in separately. That particular trace is the ground IIRC. Honestly, i'd grab another v8 90-93 cluster, and swap the speedo over to keep the mileage intact. You can try rigging it, but if you are going to pirate another cluster for another ribbon i'd just swap the entire cluster. I agree I wouldn't want to go rigging but I understand some people may need an option B if money is tight. I can't remember what those were either I'd have to look myself. I just remember one was for the anti slosh but can't remember the other. O crap now I have to pull the cluster out again.